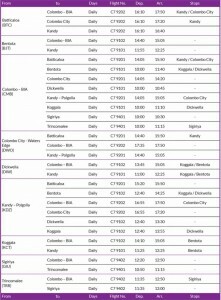 Cinnamon Air a leading domestic airline announces their regular scheduled flights in major tourism cities of Sigiriya, Hambanota, Koggala from Colombo (BIA) international Airport. Now visit your dream destination quickly rather spending time on bumpy journey. 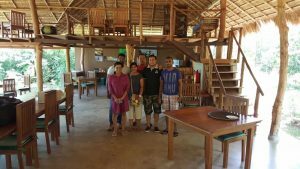 Thamaravila is a unique tented villa property just minutes from Wilpattu National Park. 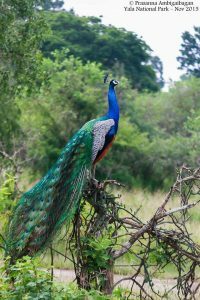 For a limited time we are pleased to offer highly discounted rates for local and expat wildlife enthusiasts, wildlife photographers and people with a love of nature. Did You Know? 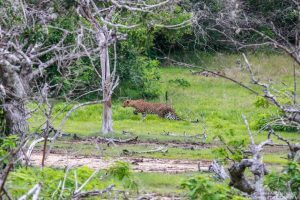 The chances of seeing a Leopard at Wilpattu is exactly the same as Yala. 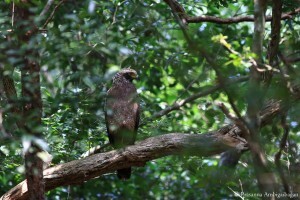 The chances of seeing a Sloth Bear at Wilpattu is actually better than at any other reserve in Sri Lanka. 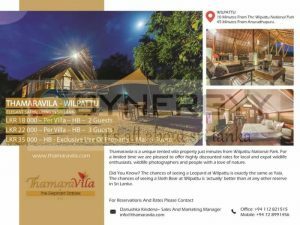 The Thamaravila located 10 Minutes From The Wilpattu National Park and 45 Minutes From Anuradhapura. 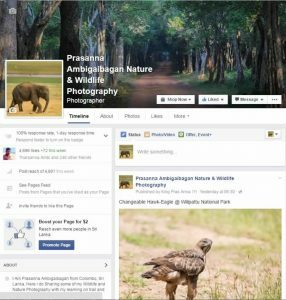 We Prasanna Ambigaibagan Nature & Wildlife Photography Organised our 7th Wildlife Photography Tour to Minneriya National Park on August 12,2017. 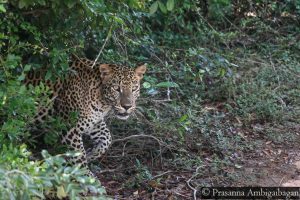 We Prasanna Ambigaibagan Nature & Wildlife Photography Organised our 6th Wildlife Photography Tour to Yala National Park on July 29-30,2017.
International Center for Sustainable Built Environment ICB (Pvt) Ltd. offers solutions in Structural designing, Architectural Designing, Structural health monitoring for all structures, Green consultancy, Land and other surveying and laboratory testing covering all civil engineering aspects, that brings a successful sustainable growth strategy to the rapidly developing nation. 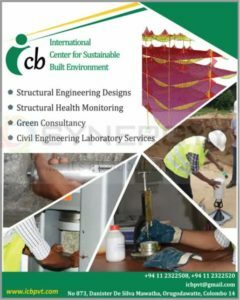 ICB (Pvt) Ltd was established with a vision to be a leader in structural engineering structural health monitoring and green engineering; guiding the nation to a sustainable future. Our mission is to serve the stake holders of the built environment with the highest level of professional standards in structural engineering, structural health monitoring and green technology; ensuring safety, bringing in creativity and innovation, and promoting environmental conservation using sustainable approaches. Design any kind of structures (Steel, Concrete or Composite) and provide drawings and other required details. Provide any kind of architectural design and consultancy service. Check the condition of the structure by performing the relevant onsite and laboratory testing and provide solutions and recommendations to overcome problem. Provide green consultancy from the beginning of the project and finally provide assessment report to acquire Green Certification from the Sri Lanka Green Building Council. Provide any kind of engineering survey using the latest technology. Experimental stress analysis and non-destructive tests (strain measurements, rebound hammer test, photo elasticity, ultrasonic tests, Half-cell potential test, Microscopically examinations ,hardness and permeability tests etc). Fully computer controlled portable on line data monitoring and logging systems for strains, displacements and loads etc up to 200 channels. Field investigations for landslides, quarries and construction materials. 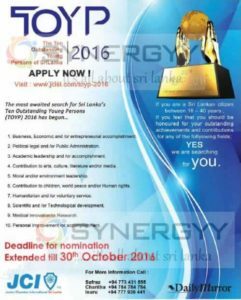 Junior Chamber International Sri Lanka invites applications for the Ten Outstanding Young Persons of Sri Lanka. This award ceremony is organize to encourage and motivate young chambers to perform better. Academic leadership and for accomplishment. 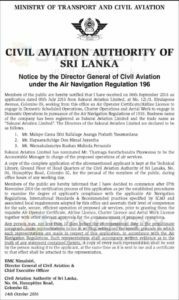 Civil Aviation Authority of Sri Lanka stated to public that they received an application dated 05th July 2016 from Sakurai Aviation Limited, at No. 121/3, Kirulapone Avenue, Colombo 05, seeking from this office an Air Operator Certificate/Airline License to engage in Domestic Scheduled Operations, Charter Operations and Aerial Work to engage in Domestic Operations in pursuance of the Air Navigation Regulations of 1955. Business name of the company has been registered as Sakurai Aviation Limited and the trade name as “Sakurai Aviation Limited” The Directors of the Sakurai Aviation Limited are declared to be as follows. Sakurai Aviation Limited has nominated Mr. Tharnaga Sarathchandra Piyawansa to be the Accountable Manager in charge of the proposed operations of air services. It’s appropriate to study the past electricity bills, of about three years, to ascertain variations in the power consumption pattern. The average electricity bill should be considered for the selection of an appropriate system. Scan the surrounding environment of the house and select an exposed, sunny South sloping roof area to locate the panel and inverter. In Colombo, solar panels need to be orientated at an angle of 7 degrees to the horizontal in the southern direction. The solar panels should be purchased accompanied with a suitable inverter and other appropriate items, known in the PV industry as Balance of System (BoS), and installed conforming to wiring regulations governing such installations. Solar tracking systems are capable of tracking the motion of the sun throughout the day to get maximum power generated from the solar panels. Such tracking systems can be installed for better results, but are significantly expensive. 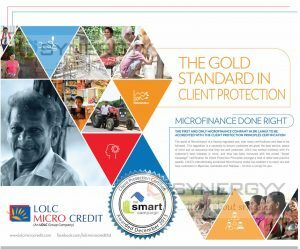 The customer is required to enter into an Agreement, with the utility (CEB or LECO). namely, the Agreement and Grid Interconnection Standards for Net-metering of an On-grid Renewable Energy based Generating Facility. The electricity distributor would take necessary steps to install the net-metering setup, after which the facility could start generating. The surplus could be banked to the grid legally as per the contract. What is the warranty period of the main components? For PV modules, manufacturing defect warranty is typically 10 years. For PV modules, performance warranty is typically 25 years and no more than 20% degradation performance at the end of 25 years. For inverter manufacturing defect warranty is typically between 5 to 10 years. 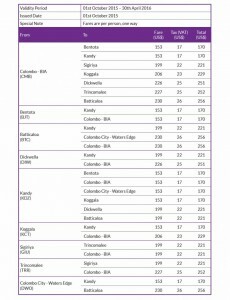 Arpico Finance Company PLC announces their highest fixed deposits interest rates available in financial market. Of you are a senior citizens enjoy extra interest of 1%. 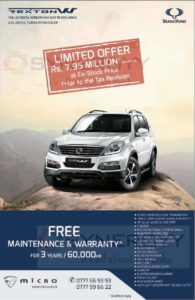 Micro Cars Sri Lanka announces a special price for the SsangYong Rexton W now for Rs. 7.95 million (9,750,000/-) upwards for the ex-stock. and Micro offers 3 Years/ 60,000Km Maintenance & Warranty for SsangYong Rexton W along with below features. Do you send money home to Bank of Ceylon from abroad? Then this is your chance to win thrice the money you send home so that your loved ones receive four times the money you send! With Triple Wasi draws we are giving away a total of Rs.12,500,000/- in cash prizes. 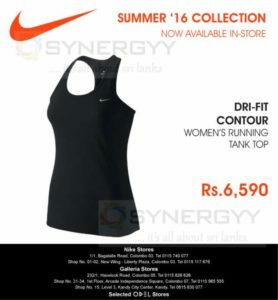 Selected winners can win up to Rs.100,000 in cash prizes. 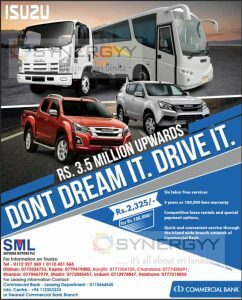 A total sum of Rs.2,500,000 will be given away in this draw. Hurry, the more money you send, more chances to win! 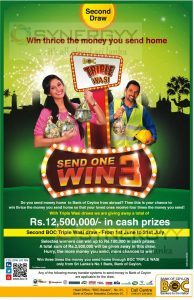 Win three times the money you send home through BOC TRIPLE WASI only from Sri Lanka’s No.1 Bank, Bank of Ceylon. Any of the following money transfer systems to send money to Bank of Ceylon are applicable for the draw. 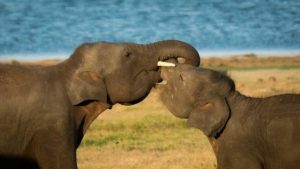 In close proximity to Habarana, the gateway to Trincomalee and Polonnaruwa, Kaudulla revolves around an ancient tank and is considered as an important elephant corridor, offering regular sightings. 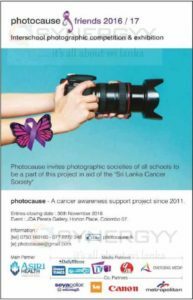 I Prasanna Ambigaibagan Cost Accountant by profession and passionate wildlife photographer from 2011, I do many budgeted road tours in overseas and meet many new friends and I do always invite them to Sri lanka and let them to experience Srilanka hospitality. 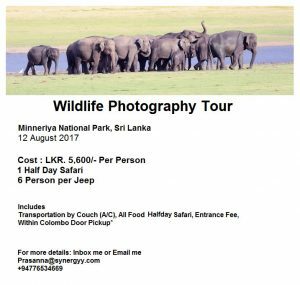 If anyone wanted to know more about Sri Lankan Wildlife and Wildlife Safaris, you can feel free to contact me by below comment or call me on +94776534669 (I do available in Whatsapp, Viber, IMO and Line). In case of an emergency, remind yourself to be calm and intently listen to the instructions of your tracker. If you are on your own, remain quiet, engine of vehicle cut and do not leave the vehicle at all. In extremely dangerous situations, your tracker may ask you to put foot to the pedal; remember to keep calm and think rationally. 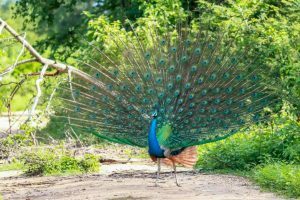 Loud noise should be made only if trekker says so or when no other solution is in the offing, in the face of a violent, persistent attack, which is extremely remote and unlikely. A series of wildlife bungalows operated by the park afford nature enthusiasts to spend a night in the park. These bungalows are very basic, promote open space but give you an unforgettable experience as you experience a night in the animal kingdom. You can book a bungalow here. You can also be out on the beaten track before the rest of the traffic gets in. A series of wildlife bungalows operated by the park afford nature enthusiasts to spend a night in the park. These bungalows are very basic, promote open space but give you an unforgettable experience as you experience a night in the animal kingdom. You can book a bungalow here. You can also be out on the beaten track before the rest of the traffic gets in. The campsite can provide accommodation for a maximum of 10 people at a time. You can also have 2 kids below the age of 6 in addition to that. Campsites are open for any bookings of not more than 3 days. There are onsite toilets for campers and don’t forget to clean it when you are leaving. Littering inside the park is strictly prohibited so don’t leave anything behind apart from your footsteps. Permanent constructions are not allowed inside a campsite, you have a 20 X 20 ft. land to build your temporary dwellings. If you have more than 1 camp tent, you may have to pay extra for each additional tent. All campers are entitled to a seasoned trekker when entering the park. No refunds are entertained under any circumstance. 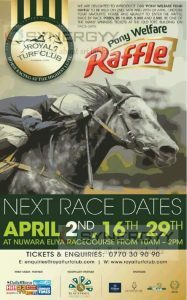 The guest registration forms must be filled on arrival. Alcohol consumption and smoking is strictly prohibited on campsites. You have to be responsible for your actions inside the park. Make sure that you leave it as you see it. Any harm caused to the nature by you is a serious crime and will be dealt with extreme prejudice. Campers must be fully aware of the rules of the park and expected to be in line with all of them. 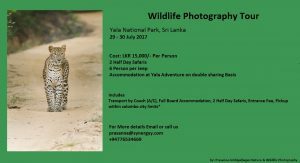 Obviously, your trip to Yala revolves around the safari ride that takes you on an experience of a lifetime. Remember, this is no circus and animals are not on duty waiting for you. 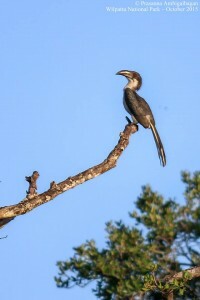 It’s that feeling of uncertainty and adventure that makes it a wildlife experience. To catch the inhabitants of the jungle you need to be there at the best time and thread patiently. Make a well thought-out schedule. 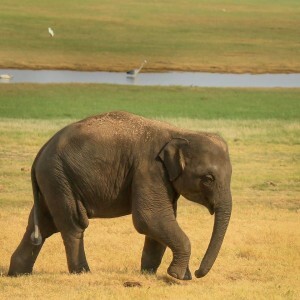 If you are a local planning your first trip to Yala, plan you route and make sure you have proper transport. While a 4-WD vehicle is recommended a van with high ground clearance would do. If you don’t have one, you can hire a safari jeep at the entrance. 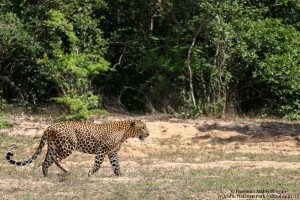 If you are an overseas visitor, Yala would be among many other local destinations you plan to visit. So, it is important to slot it in well. Talk to your tour operator about travel time from your previous destination and where you need to be after Yala. It’ll give you a good idea if your agent has prepared you a good itinerary or not. 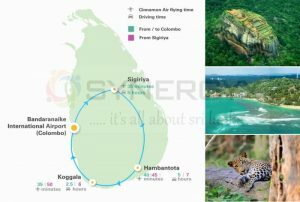 The chances are you’d first visit the ancient kingdoms first and travel next to hill country before arriving in Yala, with plans to move on to the southern coast and then ending back in Colombo. Or you’ll do it the other way round. Look at the distance and travel time that will get you to Yala. Keep In mind that the best time to enter the park is when the park opens just after 6:00am or after 4:00pm when animals resurface after taking cover from the sun. You may also opt for a full day tour. Leave adequate time to arrive at the park at the planned entry time. Hants a leading mattress manufactures and seller in the market announces a special Sinhala/Tamil New Year 2016 discounts upto 15%. 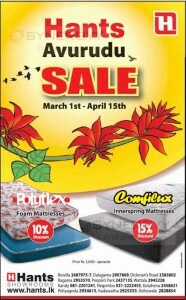 Enjoy 10% discounts on Foam Mattresses and 15% discount on innerspring mattresses. This special offer is valid only upto 15th April 2016. 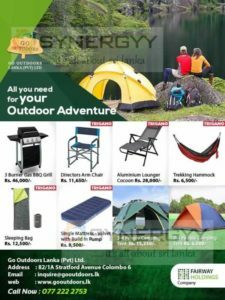 Bank of Ceylon offers range of promotions islandwide to celebrate this Sinhala / Hindu New Year festive month of April 2016. 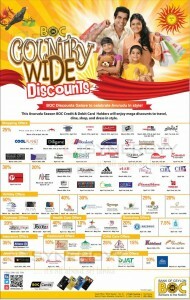 BoC brings you range of offers from different segments of Chopping, Holiday tours, Footwear, Health Care, bookshops, Insurance, Restaurants, Childcare, Jeweler and wellness centers. The Department of Wildlife Conservation (DWC) said it would impose new rules and regulations for visitors with the purpose of regulating whale and dolphin watching in Mirissa. The official personal stated that the new laws and regulations would implement to safeguarded the whales and dolphins from the visitors. He further said that Department of Wildlife Conservation (DWC) taken this rule after receiving many complains that some visitors had caused impact on animals by going too much closer to them and this rule would be impact from the nest whale watching season of August 2016. At Cinnamon Air we not only provide efficient and professional domestic air services in Sri Lanka, but some great special offers too! This exclusive Early Bird Offer lets you enjoy an attractive 25% discount when making a booking 60 days prior to your flight. 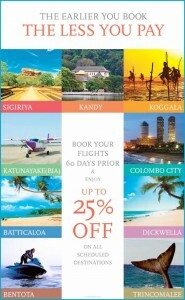 Providing greater savings the earlier you make your booking, the deal is available on flights to all scheduled destinations and is amongst the best flight packages in Sri Lanka. 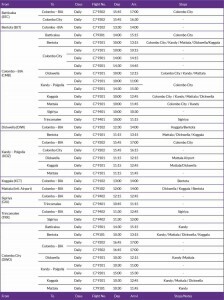 Helping you better plan your trip, our Cinnamon Air taxi schedules in Sri Lanka feature all the information you will need for your flight including departure & arrival days, times and destinations.